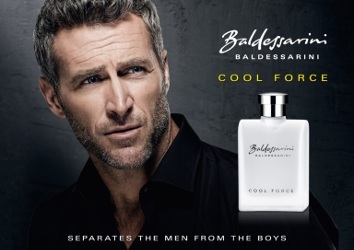 Baldessarini will launch Cool Force, a new fragrance that separates the men from the boys, in March. Cool Force was developed by perfumer Vincent Schaller. The fragrance notes include bergamot, cardamom, water accord, clary sage, neroli and patchouli. Baldessarini Cool Force will be available in 50 and 90 ml Eau de Toilette and in matching grooming products. The retro 80s vibe caught my eye. No interest in the fragrance whatsoever, although I suspect the ad is targeted at my age demographic. sigh. I am really off topic today! Given that the topic is separating the men from the boys, I’d rather talk about something else too! But I think vaping is more popular than you might think with older folks who have been unable to give up nicotine. I am looking for Baldessarini line in Italy but it looks like it’s completely unavailable here. I would like to test Ultimate (nose: Geza Schoen), and -why not- also this one. I have no advice — I never see it here either although I admit I have not looked hard.